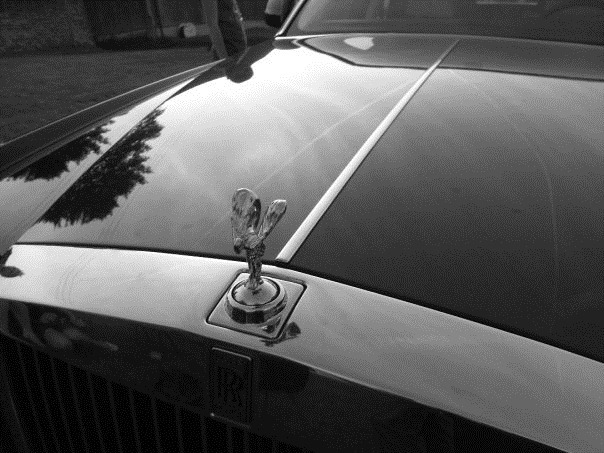 I’ve never really thought of myself as a Rolls Royce kinda guy. My fantasy garage has always been filled with machines from Sant’Agata, Gaydon or Hethel rather than Goodwood. Sport rather than comfort has always been what’s impressed me. After this weekend however I might be squeezing one of Goodwoods finest into my lottery win spending plan. Last weekend I was a very very lucky guy. 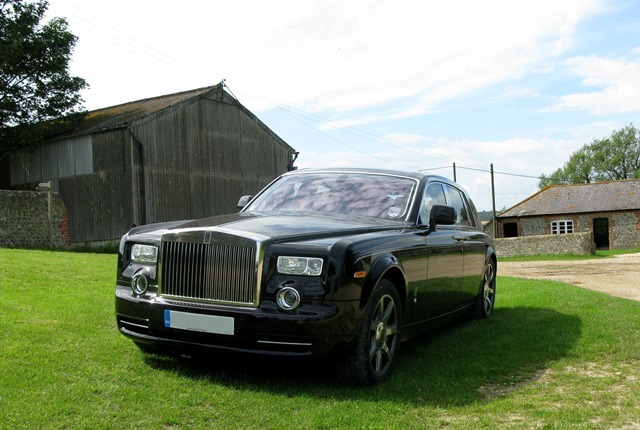 How it came about is a long story, but my girlfriend and I found ourselves with a fabulous ‘09 spec Rolls Royce Phantom for the weekend. A few hundred miles later and I’m smitten. The first thing that struck me about the Phantom is it’s scale, it’s simply massive. I’ve seen them up close before, but it’s always a surprise. It carries it’s size well though, projecting a huge amount of presence wherever it goes. On the road it seems somehow smaller. It’s odd you’re always aware of it’s size, but it seems natural. That’s not to say that narrow roads and when parking don’t focus the mind though! With the only requirement on us a request to put at least 400 miles on the clock, on Sunday we headed out on a road trip to my parents house in London, stopping off to to see friends and family on the way. It’s a journey that takes us across some great Sussex A and B roads, a 40 minute burst of motorway then a few miles of busy town roads. The ease with which the Phantom covered those miles was shocking. The ride is so smooth and the cabin so comfortable that time just flies by. It seemed like every time I glanced at the (rather good) sat-nav we’d devoured another 10-15 miles off the route. If you needed to get from one side of Europe to the other I can’t think of a better way to do it. Climbing into the cabin you soon notice the attention to detail that’s gone into the Phantoms design and construction, it’s a wonderful place to be. Our car was trimmed in white leather with black lacquered wood and black carpets which, lush as they were, also had thick rugs for good measure. Every surface inside is perfectly finished. The stitching in the leather is millimetre perfect no matter how long the seam and the chrome and wood are like mirrors. 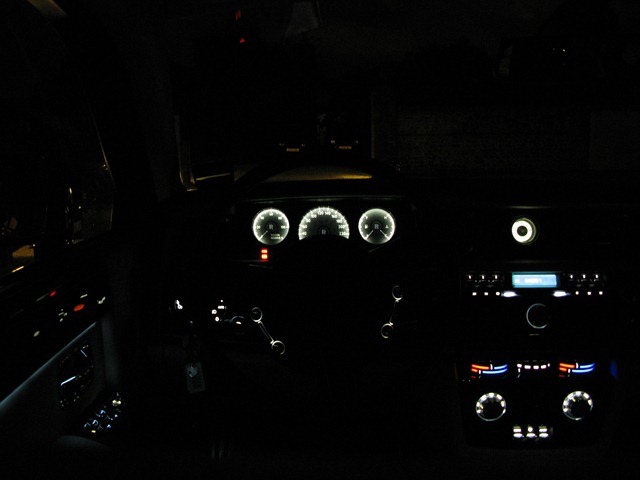 The real fun starts at night, with dials and buttons being sharply lit, and subtle lighting around the cabin adding an almost art deco feel. It’s hard to describe, and photo’s don’t really do it justice. 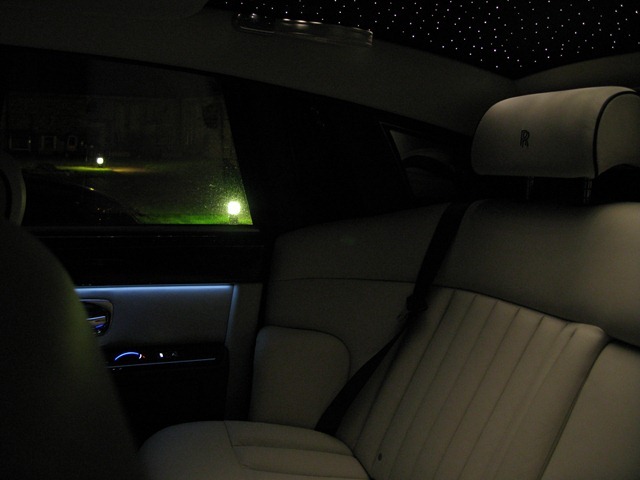 In the back, the headliner has hundreds of fibre optic strands sewn into it, giving the roof it’s own ‘star light’. Whilst I didn’t drive – the car was entrusted to my girlfriend only unfortunately – the driving position is high and comfortable. The view is dominated by the long bonnet and Spirit of Ecstasy mascot. You tower above other cars, with even big Mercedes and BMW’s seeming small (and dare I say insignificant!). In front of you the dash has a large centre speedometer, with fuel and fluid gauges on the right and the and a ‘Power Reserve’ dial on the left. No rev counter for the Phantom then, just a guide letting you know just how effortless your progress is. And with a 6.75 litre V12 providing the go, any sensible progress really is effortless. Despite it’s size the Phantom is a very quick car. Not sporting, but quick none the less. By contrast even at motorway speeds there’s next to no noise. Whilst there’s the underlying sound of a car running, it doesn’t really change with speed. 70mph isn’t noticeably louder that 30mph. A single seats air conditioning is easily louder than the wind noise even at speed. What more can I say? I’ve been very fortunate over the years to have driven and been in some pretty special cars. Not much has impressed me as much as the Phantom. Maybe it’s because I’d usually be more interested in performance than luxury, but the Phantom left quite an impression. Having the Phantom for the weekend was probably a once in a lifetime opportunity. Hopefully I’ve done it justice here! Needless to say, the Monday morning commute in my daily drive Peugeot was particularly long and uncomfortable the following day. I’d really like the Phantom back. That is awesome! How come your girlfriend got the car for the weekend… even if the car isn’t .. she sounds like a keeper..